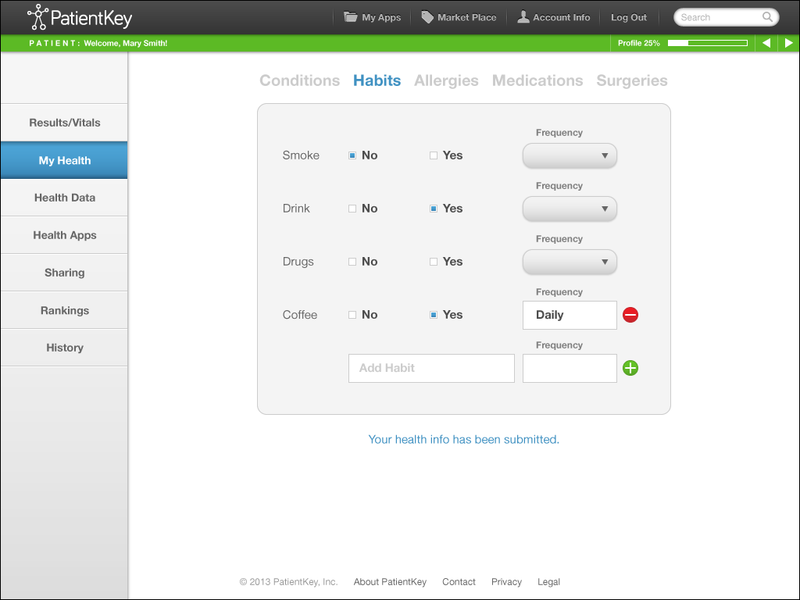 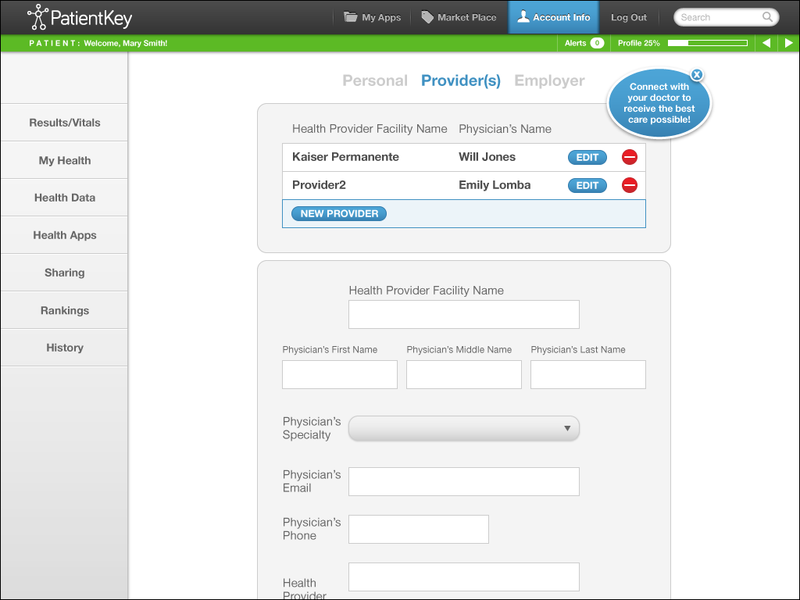 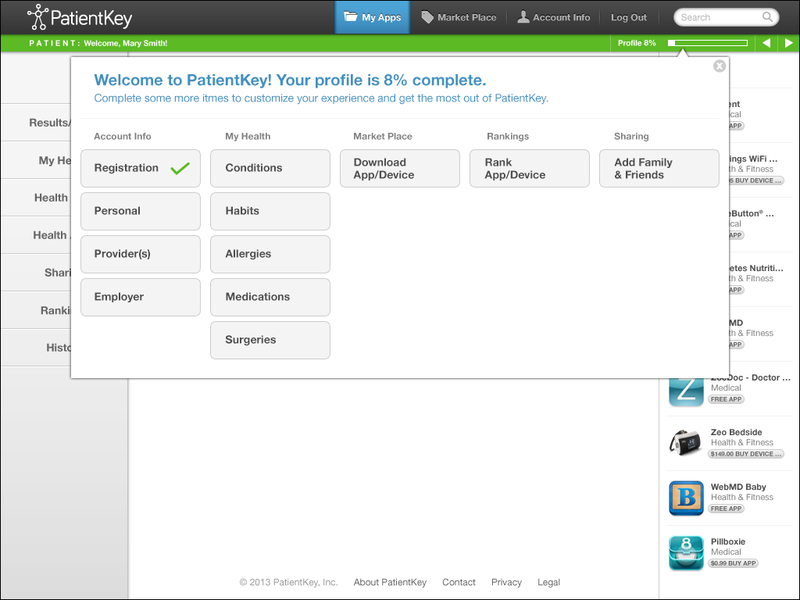 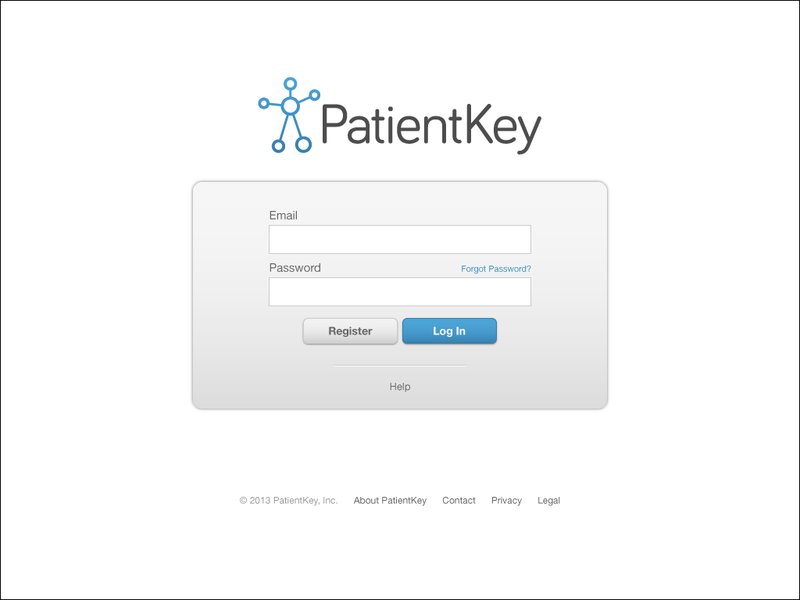 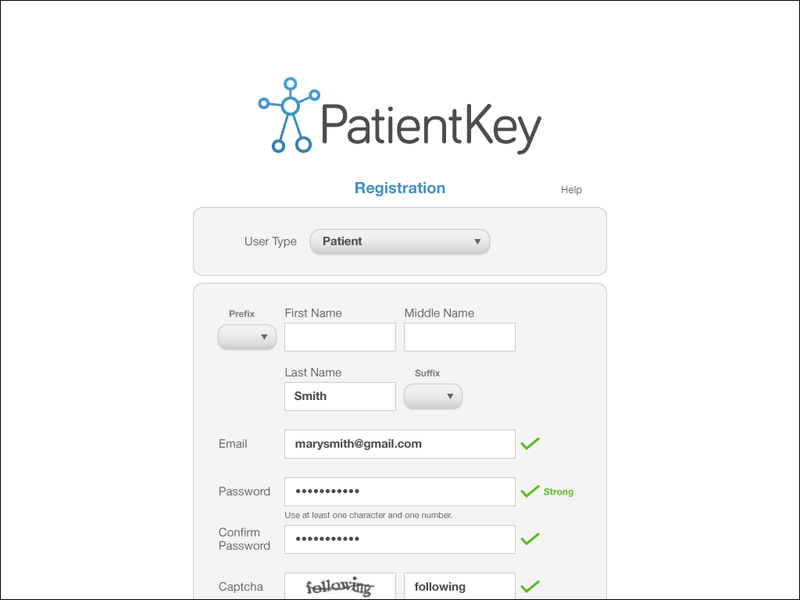 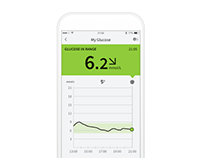 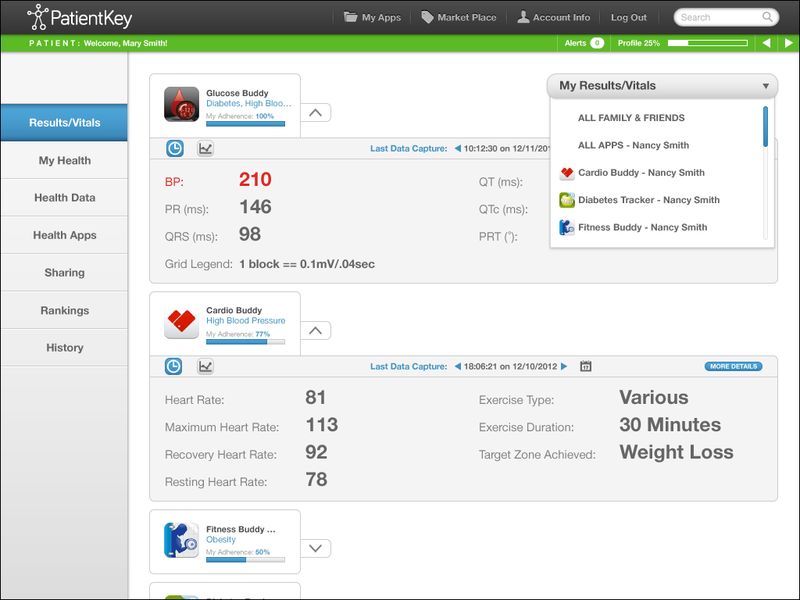 PatientKey was designed to be a mobile web app that would seamlessly translate for use on a tablet. 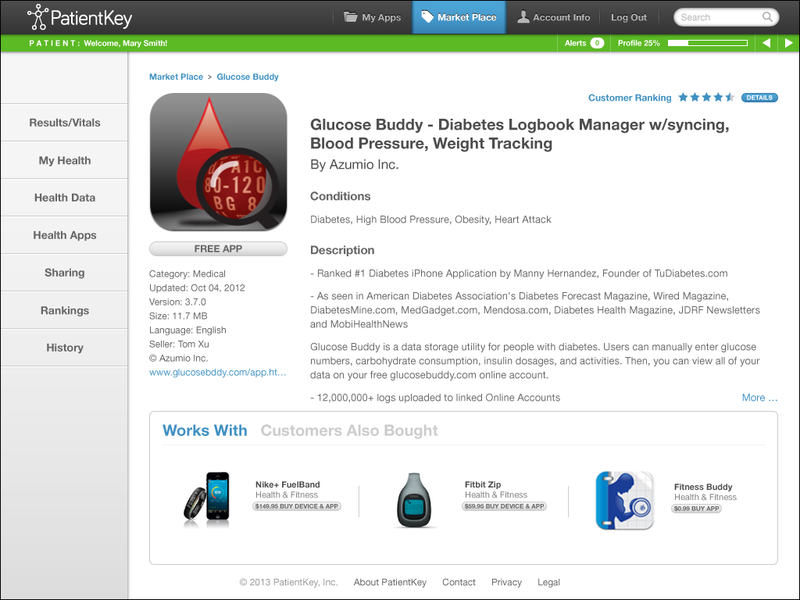 Its objective was to allow the healthcare community to share actionable data derived from third-party mobile app and device usage. 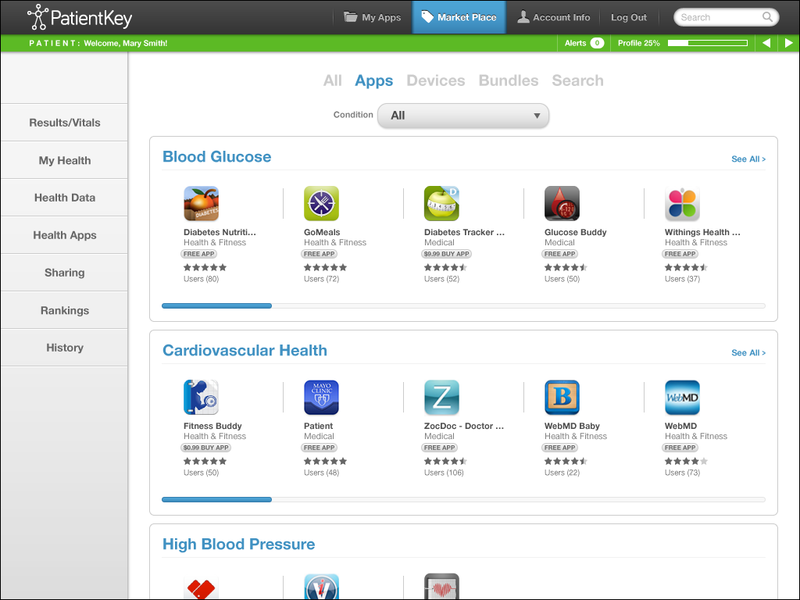 I was the lead/solo designer and created everything from scratch including the logo and brand identity. 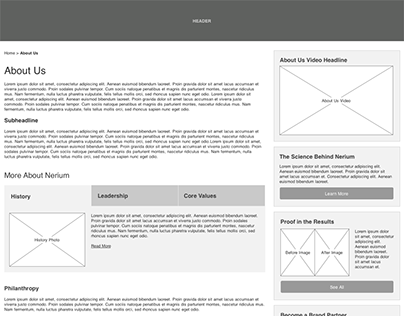 I also designed a marketing/informational website, a storyboard with personas, and PowerPoints for the CEO and board members to use during meetings and to raise funding. 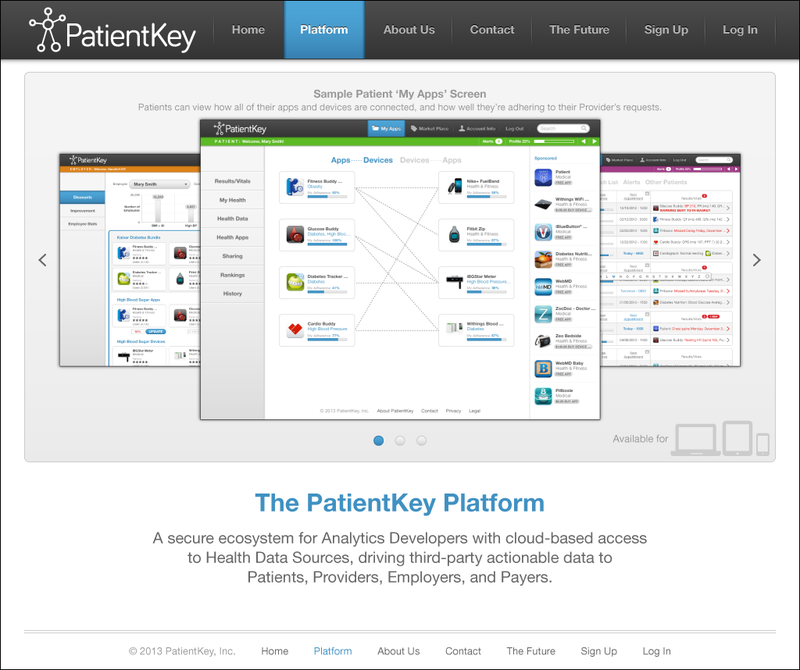 A board member, the CEO, CTO, and I met weekly to strategize about content and functionality. 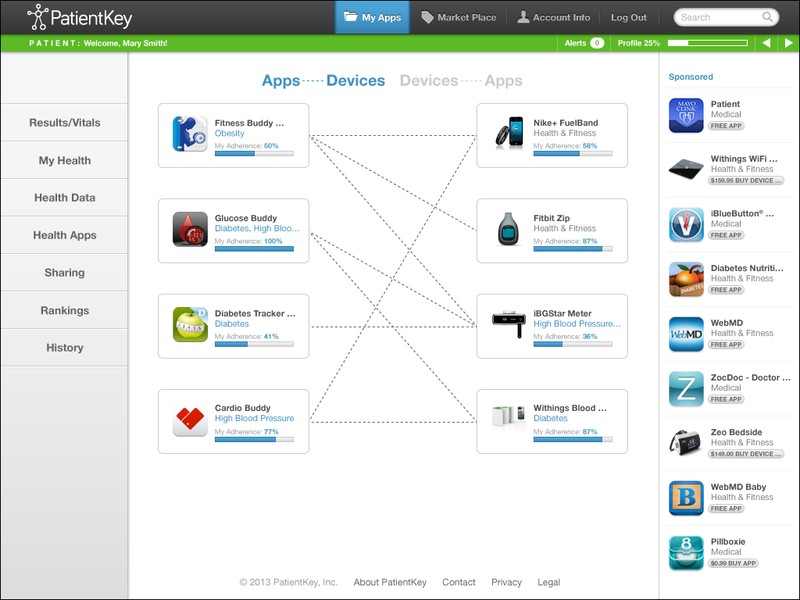 The CTO was primarily responsible for flowcharts. 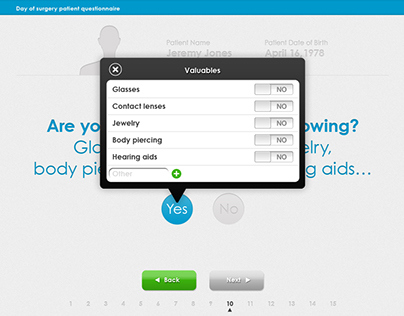 We went from discussion, to white-board sketches, to OmniGraffle. 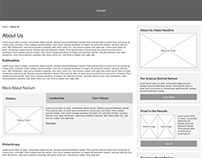 I used Illustrator to create mockups and had the freedom to turn our discussions and the flowcharts into a succession of screens that made sense and were user-friendly. 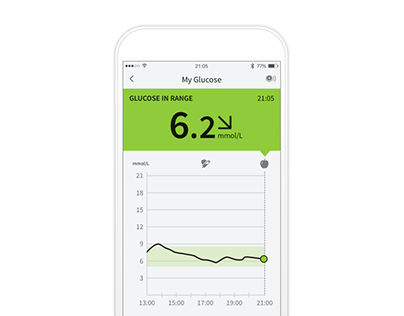 I designed 120 UI screens for the different sections within the app.